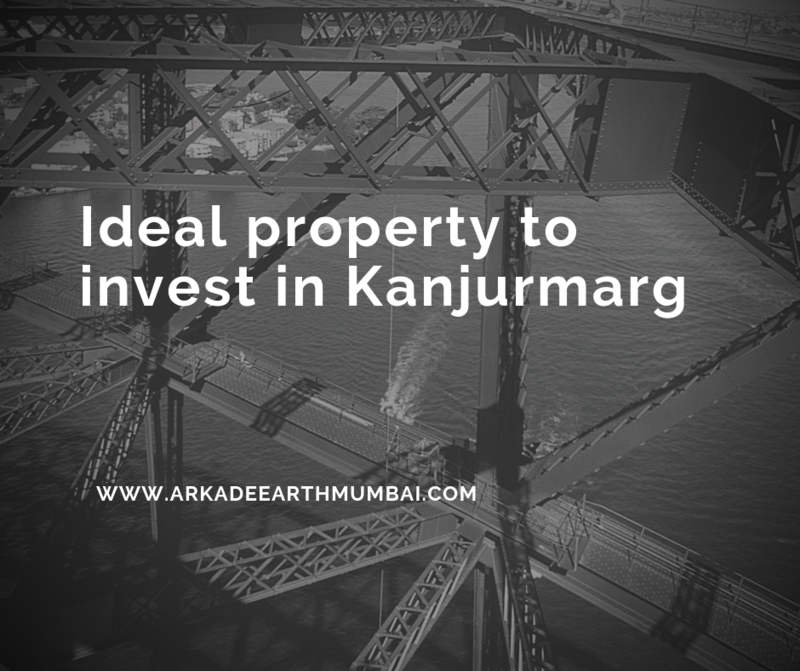 Over the years, Kanjurmarg has emerged as a hot spot for realty investment, along with other suburbs of Mumbai like Thane, Bhandup, and Vikroli. Initially an industrial belt it has now developed into an upscale residential area with world-class infrastructure that has developed here. Numerous high end and high-quality projects are coming up here, giving people ample choice to choose from. Unlike the other posh suburbs of Mumbai, the prices here are very affordable, even for the middle class people. Surrounded by popular malls, commercial areas, local markets, hospitals, educational institutes, and entertainment centers, Kanjurmarg is already becoming a popular area for urban professionals and upwardly mobile population, to reside in. The area is well-connected with the rest of Mumbai and beyond, with railway stations for Central Railways and local trains. Kanjurmarg has many IT hubs in close proximity. The famous Hiranandani Foundation School and Gopal Sharma International School are also close by. Reputed institutions like Kendriya Vidyalaya and St.Xavier's High School can be easily accessed as they are very close by. The Seth Govind Ram Jolly Marg,Kanjur Village Road junction and KanjurMarg Station East are just a few minutes away. Adding to the location advantage are EE Highway and LBS Road. A plush residential apartment complex coming up in Kanjurmarg in Mumbai is Arkade Earth. Surrounded by natural greenery, the project gives a serene living environment amidst nature and is away from the city noise and pollution. These 1,2, and 3 BHK apartments have sizes varying from 447 sq. ft. to 1052 sq. ft. The prices for these exclusive apartments range from Rs. 92.60 Lakhs to Rs. 20.83 crores. It is very reasonable and perfect for the mid-segment buyers. Aspiring buyers can choose from numerous payment plans and home loan options. NRI services are also available to make the buying process convenient and stress-free. A perfect blend of modernity and elegance,these luxury apartments have amenities that include numerous sports facilities like a basketball court, jogging tracks, tennis courts and a play area for children. Feel the leisure and convenience with enchanting landscaped lawns, multipurpose hall, open spaces, intercom services, complete power backup, Wi-fi connectivity, ample car parking area, video surveillance, and multi-tiered security. The amenities will take utmost care of the inhabitants with regard to fitness, entertained and positive environment,to give precious moments with family and loved ones. The plush apartment interiors have high-end fittings, top-quality flooring, grand doors and windows with scenic views, contemporary kitchens with granite tops, and many safety features. The apartments are designed to have optimal ventilation, space utilization and abundant natural light. At Arkade Earth Kanjurmarg feel the atmosphere of nature and calm and yet be well-connected to the important areas of Mumbai. Commuting is easy here with plenty of public transport available.